2 Machine washable. Fundamental rules. Black clothes are present in the wardrobe of almost every person. It is chosen for practicality, not marzime, convenience and the ability to adjust the silhouette. But at the same time, remember that dark things are worn for a long time and look good, you need to properly wash, rinse and dry them. After all, they, any items of clothing require high-quality care. 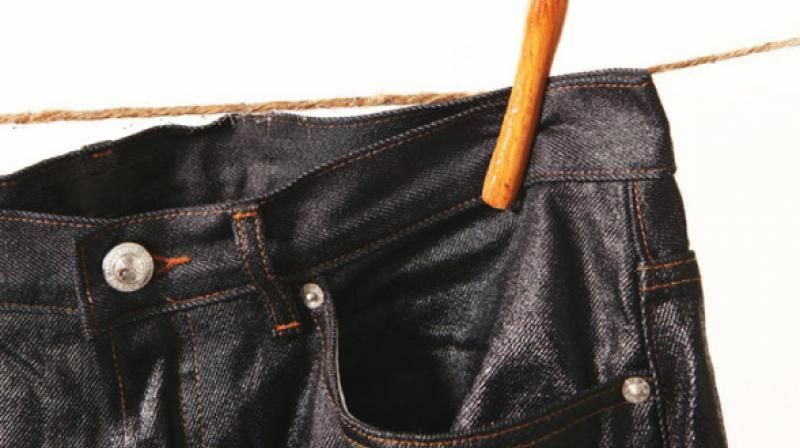 In this article we will tell you how and how to wash black things, and also talk about how to do it better, so that your favorite clothes will retain their original appearance for a long time. Washing black things is common and, moreover, simple, especially if you know all the nuances, one of which is the selection of tools or powder. Most housewives do not pay special attention to this issue and throw dark clothes in the wash together with colored clothes. This is primarily due to the fact that why buy a special tool, when an ordinary powder, so, not bad copes. But this opinion is wrong. Consider the reasons why you still need to purchase a special tool. Universal gel or powder for colored linen over time helps to wash out the black color of the fibers of the fabric. Also, thanks to them, white or light spots may appear on the material, which will spoil the appearance of the thing. Thanks to the powder for white or colored things on the black fabric, after the thing dries, you can find white stains that you just can’t remove, it will need to be pereystirovat. A powder can cause an allergic reaction. It is better to purchase the formulations in liquid or gel form, they are well rinsed out and are considered hypoallergenic. Also in their formula, they contain special substances that protect color from leaching, as well as chemical and mechanical effects. Than to erase black things from your wardrobe you will certainly choose you, but by purchasing even the most inexpensive special gel, you prolong their life. Black things must be placed in the drum turned inside out and washed at a temperature of no more than 40 degrees. But mainly focus on the type of material, because some fabrics require cold water or no more 30 degrees. How to wash black things? Yes, very simple. Try not to mix them with others, do not put colored clothes in the drum, even if neither the first nor the second shed. Do you care about washing? If so, do not completely hammer the drum. Fill it up to half or a little more, and then your clothes will be well-washed. If you want clothes at the exit to have no stains, wash them only with gel or liquid, because they are completely rinsed out of the fabric, and do not forget to include an additional rinse. Many housewives ask themselves: “In what mode do you wash black things?” We answer. It all depends on the fabric, if you have lace, silk or wool, it is best to use a delicate mode, and if cotton, jeans or viscose, then use the usual quick daily wash. Remember, before you decide to wash this or that thing of a dark color, especially if you do it the first time, pay attention to the label, since wash black things in the washing machine it will be strictly forbidden from such a cloth and manual cleaning is necessary. Washing black is not fundamentally different from washing other things. Next, we will give some recommendations on how to avoid some errors. If things are heavily contaminated, they are greasy or some other stains, then before washing they should be soaked with a special stain remover. Pay attention to its label; dark clothes cannot be washed with a composition containing bleach. Are you afraid your clothes will fade? Do not be afraid, choose the optimum water temperature. If you do not know at what temperature to wash black things, then, we recall, the optimal temperature is 40 degrees. The thinner the fabric, the colder the water should be. Hand wash is more delicate, so it is desirable to clean underwear, clothes made of lace, satin and silk, woolen sweaters, cashmere, chiffon. If you don't know what powder If you want to erase black things by hand, you can use the same tool that you add to the typewriter. When washing black things, it is necessary to remember that they should be rinsed out very carefully, because otherwise there may be white stains. 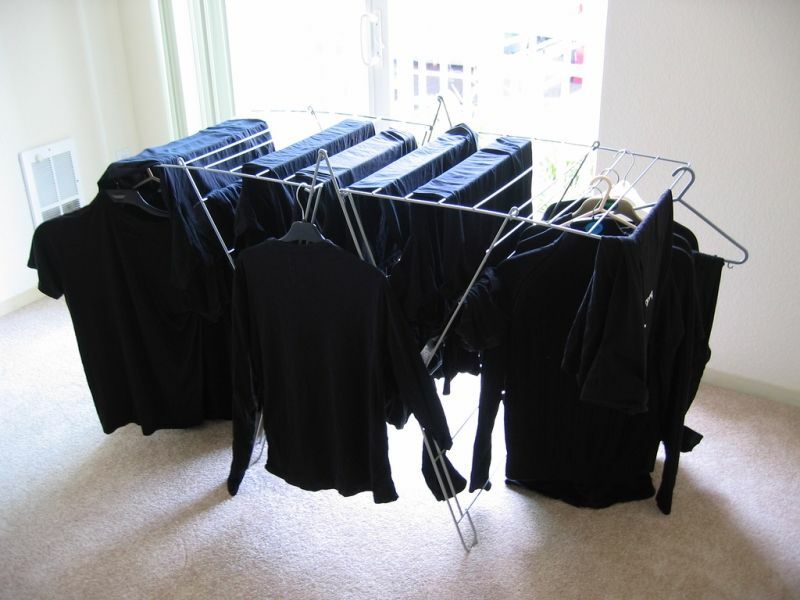 If you wash black sweaters from wool or cashmere or silk, they should not be squeezed and twisted. Above, we talked about how and how to erase dark things, and now we’ll dwell on how to prevent them from fading, so we summarize what was described above. Wash black stuff as rarely as possible. No matter how you carefully handle them and whatever means are used, the process itself can cause discoloration of fabric fibers. If you have the opportunity to skip the wash, then it is better to do it. They should be refreshed only when necessary and on a very short cycle. Why do you need to wash black with black? Good question. During washing, the dye with which the threads are filled is washed out of them and, if there are no light things in the drum that absorb it, it goes back into the fibers. In which mode you would not be going to wash black things, first of all the laundry detergent gets on the front of the clothes so that it stays in its original form as long as possible, before turning them into water turn the clothes inside out, always button all buttons and zippers , as during washing they can damage fibers. We have already said that it should be in cold or cool water, and why? Firstly, because hot water quickly dissolves and washes the dye out of the fabric, and secondly, things are not deformed during the washing process. How to wash black things? Of course, in a special tool, because it fixes the color and protects clothing from fading. The better to erase black things in disrepair? Before you send things to be erased, you must first soak them in a stain remover, and then put them in a typewriter. Dark fabrics can not be dried in the open sun and on the battery. It is also not recommended to hang up clothes, if we are talking about clothes made of delicate fabrics, on the dryer, they should be laid out on a towel or a sheet horizontally. Remember, it is necessary to rinse dark fabrics a little more than light ones, because if there is powder on them, then white stains are formed upon drying. Also, when rinsing, add a little vinegar to the conditioner compartment, it will help not only to fix the color, but also to wash all the remaining particles of the product. And finally, if your favorite thing has faded - do not worry, because in the store household chemicals you can always buy a dye for fabric and return it to its original appearance. But, remember, for different types of fabric you need your composition, and you should also take into account that black has shades, but whatever it is, your blouse or jeans will have a second life.